Here’s my latest nails! 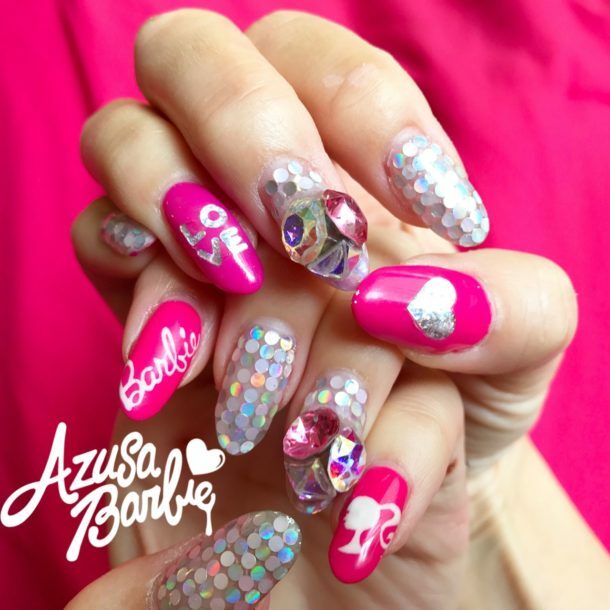 Iridescent sequins with Barbie PINK! The cursive logo and Barbie silhouette head is hand-painted!